The ‘Ghost Head Nebula’ is one of a chain of star-forming regions in the Large Magellanic Cloud. Image: European Space Agency http://www.esa.int/esaCP/ESA2DLJUWSC_Life_0.html . According to Roger Gouin, life manifests in the physical through quantum processes, but current theory and classical quantum formalism cannot account for the complex processes that determine the growth and operation of organisms. The Quantum Dynamics of Life http://blog.hasslberger.com/docs/QUANTUM_DYNAMICS_OF_LIFE.PDF is a collection of essays written by Gouin and Amrit Sorli. A few of Amrit’s articles on this site are linked below. The aim of ‘Quantum Dynamics’ is to bridge the large gap between today’s physics and a real understanding of the universe, which includes of course that-which-cannot-be-seen and that which we can’t measure – life. The essays discuss time, the mind and conscious as well as rational experience, the assumptions of general relativity and Active Galactic Nuclei as Spacial Sink-Source Systems that continuously re-cycle both space and matter. In the second essay, “Space and the Basis of Life” Gouin, starting from his specialty which is biology, shows how the cell as a common manifestation of life is organized in a complex way that defies purely physical analysis. And the basis for cellular organization and duplication is not DNA, as we might assume. Before developing DNA as a central molecule, cells duplicated with the help of a biological supramolecule called the centriole http://micro.magnet.fsu.edu/cells/centrioles/centrioles.html . He also introduces the concept of manipulation of the geometry of space by matter, particularly living matter. These concepts are further explained and expanded upon in an Annex http://blog.hasslberger.com/docs/APP4.PDF to Quantum Dynamics, which makes for lighter reading as the concepts are introduced in dialogue form and garnished with illustrations to help those of us who are conceptually impaired. 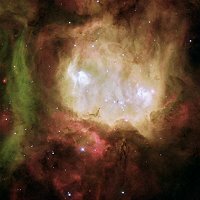 I attempt to prove that fact in particle physics, in quantum mechanics, in astrophysics, in Life and in Computer Science. This is the thrust of my thesis. So anybody looking at only one part may misunderstand, or not understand at all. I cannot help that fact. The rewrite into articles helps, but the difficulty is still there. The scientific picture of the world is continuously improving with new discoveries. In this small bok we will see that an important discovery is also the understanding of how the mind influences the direct experience of reality. The mind is an active part of any experience. The information of an experiment enters the senses, such as sight, gets elaborated by the mind, and then experience occurs. When becoming aware of the mind’s elaboration, a new picture of the universe and life arises: The universe is a timeless self-renewing system in which the development of life is a fundamental part. We have been told that the root of scientific knowledge must have a mathematical form. This was the mantra of “logical positivism” in the 20th century, reflecting a pan-mathematical view of Science, and a philosophy that all students of the physical sciences implicitly follow through the teachings they receive. This philosophical road has reached a wide gap recently by uncovering that reality in general cannot be represented through mathematics, nor can we get to the true base of reality through it. Some call this gap the “end of Science”, but it is only the end of that philosophy. Human rational understanding has only limited tools at its disposal, and mathematics is just one of them. With this in the background, we go back to the forms of experience we are physically going through, and build a picture of reality out of the scientific knowledge acquired in the last centuries, and especially in the 20th. This picture is not the one found in present scholastic teachings, as such are limited by mathematics; it is one that attempts to go beyond the gap, while yet retaining the scientific method that allowed the great advances made earlier. Dear Amrit and Ben,I can’t believe it. Someone last month has proved my theory about leptonic space manifolds in Life!!! Look at Fig. 1 and 2 in the filesattached. You will see in Fig. 1 a cell being cut while going through mitosis gives 2 cells in the middle of mitosis, but with only one spindle pole. Then in Fig. 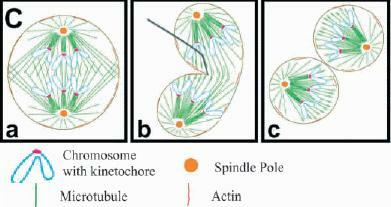 2, each half cell continues the mitosis, withthe actin furrow (ring) forming splitting the cell into two bubbles. I said 5years ago in my thesis that actin sensed the intersection of perpendicularleptonic space manifolds . Here the two space manifolds are artificially cut upand the corresponding microtubules are split and result in separate bubblesshowing the two manifold intersection with ordinary space. Robert Kerr says (by email): It is ridiculous to treat space as being empty. All of the properties of cosmic objects are explicable by the reaction of mass to pressure. The pressure of space is temperature. The chaotic motion of the overtly undetectable mass particles regenerativly organizes them around random concentrations increasing concentration density. This action is confirmed by the sphericity of cosmic entities. The limit of mass containment results in a nova explosion which releases pressure and radiates the internal mass. This is the life cycle of the the universe. Regeneration of mass concentration to explosive diffusion. Regenerative concentration explains the illusion of attractive force action. Its action is consistent with all universal entities and their behavior. Another comment by Robert Kerr (by email): The essay offered by Ben Connell was based on a constant maximum light velocity. Light is a wave which requires a transmitting medium. The medium is photon fluid. Photon fluid pressure is temperature. Wave action delivers different fluid energy waves at the same velocity. Wave frequency varies with wave particle impulse. Wave action transpires when the media energy equals wave impulse. The resistance of the media is established by fluid pressure. Fluid pressure is temperature. Hence the media resistance must vary with fluid temperature. Wave velocity is therefore only limited by media pressure which establishes particulate photon density. Hence local wave velocity is only locally constant and must exceed local transmission velocity at lesser media density. There is no basis for the assumption of a maximum constant light velocity. Light velocity is much greater at the lower temperatures of surrounding space. Everetts many realities as an evolving quantum program ie you, an everyday interpretation for those of us who are conceptually impaired if we took say a simple protein, it has for example, 4 conformational shapes (arrangements in structure it could be) and the protein will fold to the lowest energy shape it can exist in, but the other 3 shapes/conformations are still available to the protein molecule to exist it, like prion proteins (though these show drastic shapes changes) so when the protein reaches its position required in the giant nano-technology project that is life (how it gets to where it is needed is a whole other question) the protein enters its place in the lego set, now the organism can now use the other shapes the protein can form to create the motion of the organism, life by influencing the possible shapes by shuttling electrons around non-locally can use all the shapes, this is where many realities comes into it, in this case the many realities is 4 realities, but you can imagine as we start building up the shape and complexity of a life form there is a finite infinite set of conformational shapes the entire organism has (reason it takes so long to model protein folding in computers is they have to calculate every possible shape of the molecule, where as in affect the molecule exists in all shapes at once depending on its energy level, and does a protein spend 6 months figurin out howto fold itself? No so a simple potein can out compute and super computer on this planet because it has to to fold itself) so organisms learn to function, like our human body it is built on a cellular level from egg fertilisation upto an entire person/child. The cell /organ processes are already sub systems (subconscious) that function on their own programs, but now baby has to learn to (consciously) move, baby who is in essence a giant molecule like our protein with 4 possible shapes, so wat does baby do? Baby starts wriggling, induces motion in their limbs and learns to move, when they actually achieve a motion they want to many-realities in there memories remembers that this motion coincided with my desire to move and the skill/set of conformational shapes changes is remembered, have you ever noticed that your perception no matter how much you learn or how complex the scene is you are viewing, it doesnt slow down? This is because your perception is created out of the same many-reality program that you protein folds itself by.You perceive all the possible shapes of your reality and identify, like a congress of perception wat you observe. Many realities is the only process in nature able to achieve this amount of data computation, a fact ignored by current biology, just how is life computable with out it? Schrodinger’s cat . is the cat in the box alive or dead, well in actuality the cat’s molecules are goin thru their many-reality shape changes inside the box and quite probably the conformation changes of the molecules will be tryin to find a solution from the intent that the cat does not want to be in the box. Scratch scratch, common sense? Problem with most people’s approach to many-worlds is they dont see common sense from what they observe, and then give themselves a headache thinking every decision they make somewhere is another universe where they made a different choice, instead of putting a ceiling on many worlds and thinking maybe it’s the driving force of the objects and life forms we can observe and that many-worlds exists on a molecular/atomic level to manifest the macro life forms and reality that we see every day, Common sense? Re robert: the problem is wat do you measure the wave with, how do you know that the same thing that measures the speed of light isnt changed by the same thing that changes the speed of light? science wants to label everything, but reality is quite happy existing without us to label it. the big jump scientists need to make with Rogers work/method is that everything is whole, and that any process scientific/life/chemistry/etc is all a part process of that whole, science is not used to this concept, and fights against it because it lets god in the door. i am gona say that science is a religion of no god because who is the scientist to say god/wholeness doesn’t exist when the scientist cant even measure his own universe to any accuracy without the use of certain fundamental constants, then threw string theory the chances/possibilities that these 32 constants of nature are the values they are to create life is a 1×10 to 500 probability, thats a 1 in 1 with 500 zeros after it that it is pure chance that the universe is the way it is to create life, pure fluke or quantum mechanics? Intent or luck? Science needs to read its own ideas and realize how spiritual science really is, steven hawking eats his own hat and says the universe is the way it is to make wat is now any one notice an under current? Common sense?